As I care for my mother, I reread the lessons at the back of Lori’s Lessons because they inspire me. It struck me that Lesson Number Nine for Caregiving applies to the racial protests taking place near me in Ferguson today. 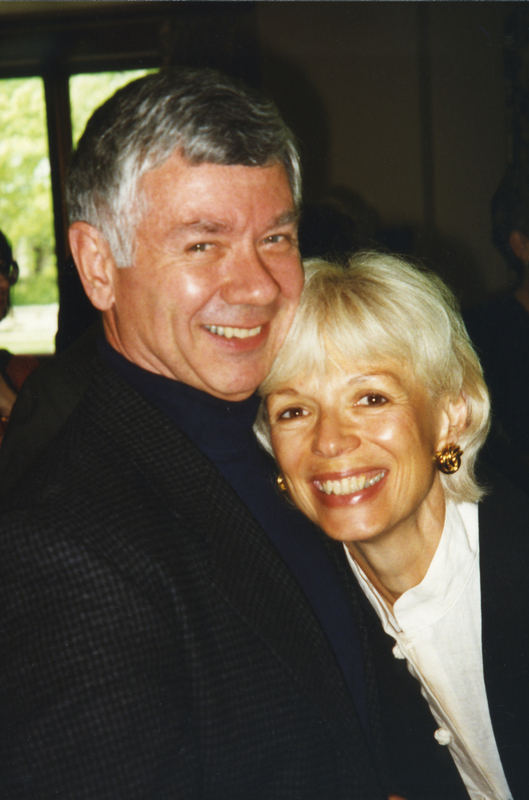 Lesson Nine: Your caregivers will come to realize that when the person they love and care for has a difficult challenge so do they. Of course, the degree of ownership involved is different. Even though the challenge is primarily yours, it will confront your caregivers and affect them too. They can even make it work for both of you if they think about it the right way. It is as if it were written about the racial divide in my city and about white and black America. affects us too even if it takes place in a distant part of the city or country. We are the yin and the yang. If part of our community is hurting and in pain, so are we. We have to act in harmony to make this challenge work for all of us. We cannot just go about our business and pretend not to be affected. I cannot venture to say who is right or wrong in the altercation that ended in the death of Michael Brown. Was Michael Brown an innocent victim? Was Darren Wilson provoked to shoot? The Grand Jury has convened, but a verdict is not expected until October. Nevertheless St. Louis is a caldron that stirs up racial issues. 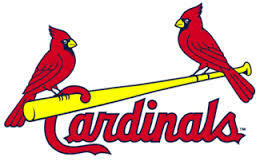 For new book called St. Louis – An Illustrated Timeline: Blues, Baseball, Books, Crooks, Civil Rights and the River, I researched the Civil Rights movement here. I concluded St. Louis is neither South nor North. Like the South, it had a large indigenous black population. Like the North, that population swelled during the Great Migration. Like the South, the races have been segregated. Like the North and unlike the South, blacks have been able to vote since Reconstruction. I think African Americans protested their unequal lot here because they were not as powerless as they were historically in the South. Starting with the Dred Scott decision which was a test case leading up to the Civil War, Supreme Court cases that originated in St. Louis have advanced civil rights for African Americans. Yet there are two St. Louises just as there are two Americas. My family and I live in an integrated suburb; our children went to integrated schools; we belong to an integrated church and social club. The African Americans we live with are educated and hold good jobs. I also have tutored African-American children in an inner-city school for seven years through a program at our church. I have worked with third graders who cannot read. They come to school hungry. Given St. Louis’ racial history, I believe the protestors in Ferguson have much more on their agenda than the shooting that started it all. Friends from other cities ask if I am scared. Even as I wrote this yesterday, police were spraying tear gas on protestors in Ferguson, Missouri, a suburb of St. Louis about twenty-five minutes from my home. On Saturday afternoon, a white police officer shot and killed Michael Brown, a young, unarmed black man, there. While the name of the officer has been withheld, police sources say that Brown had reached into the police car to take the officer’s gun, leaving the policeman with facial wounds. Brown’s friend tells a different story that Brown was running away with his hands in the air. Outrage resulted over the death of this young, unarmed man. Since Saturday, protestors have gathered in Ferguson, in other parts of St. Louis County and around the country. 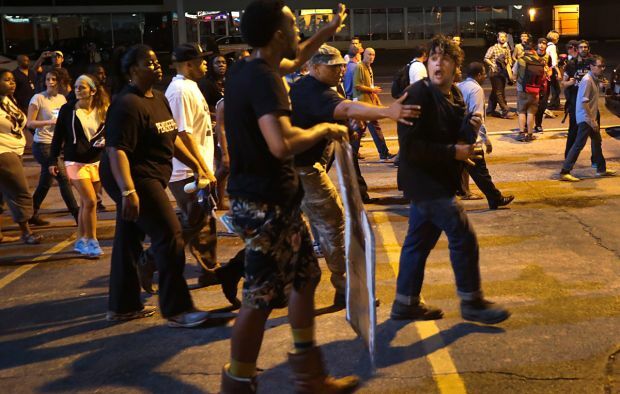 In Ferguson, they have looted and burned stores and thrown rocks and Molotov cocktails at police. As a result, police have sprayed tear gas and arrested marchers, including Washington Post and Huffington Post reporters and a St. Louis alderman. 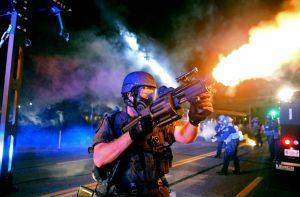 The policemen donned riot gear that makes them look like U.S. marines. A photograph of these commandos standing in a phalanx confronting protestors makes suburban St. Louis looks like Beirut. Race underlies the conflict and pain. A young black man has died; a white officer shot him. An article in yesterday’s New York Times describes Ferguson as a city afflicted by white flight: “While most of St. Louis County is white, Ferguson and neighboring towns are predominantly black. Blacks were once a minority in Ferguson, but the city’s demography has shifted in the last decade after white families moved out to surrounding suburbs.” The article quotes Richard Rosenfeld, a crime trends expert and professor at the University of Missouri-St. Louis, who says Ferguson, a town of 21,000, is a “relatively stable, working and middle-income community. But it does have its pockets of disadvantage.” Today’s Wall Street Journal says that the suburb’s racial makeup changed to predominantly black over the last decade, but the Ferguson force remains 94 percent white because police tend to stay on the job. Perhaps the tide is turning for the community. Yesterday, the Post-Dispatch reported that a young mother took her children to clean up their neighborhood Quik Trip that had been burned and looted. She inspired neighbors to do the same. 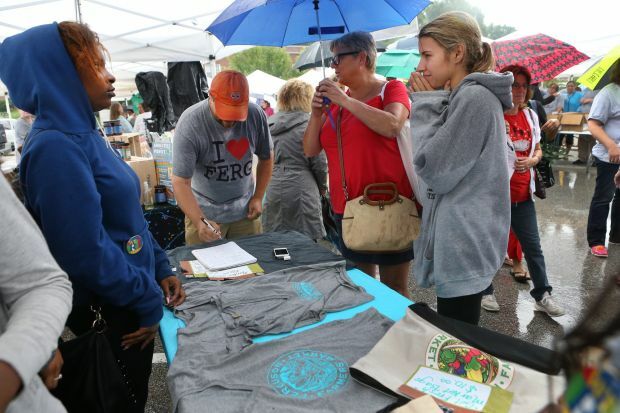 Ferguson plans to hold its Saturday farmers market as usual. Vendors there will be selling tee shirts that read: I heart Ferguson. I intend to shop in solidarity. Yesterday afternoon the Governor turned riot control over to the Missouri State Highway Patrol under Captain Ronald Johnson, an African-American officer who had grown up near Ferguson. Instead of facing off against a peace march, Johnson walked alongside the protestors. Instead of wearing paramilitary gear, he wore shirtsleeves. The message of peace and solidarity was clear. I am not at all scared, but I am sick at heart.